All of the rumors seemed to indicate that July 31st would be the day we finally heard solid details about the new Kindle Fire release. Obviously that didn’t happen. That’s not necessarily a bad sign though. While things might be taking slightly longer than fans, speculators, and analysts had expected, there are plenty of signs that Amazon has something big planned right around the corner. The update to Amazon’s music management is a strong indication that something is going on. Amazon’s emphasis on media service integration with their devices is well known. They might not have the most powerful hardware on the market but Kindle Fires are the easiest way to get at any of the digital content the company sells that can be reasonably run on a small, modestly powered tablet. The existing model isn’t exactly at its best with music playback thanks to the speaker configuration, but the interface makes use simple enough. Now that you can import existing music selections rather than uploading them individually, including files downloaded through other services, the appeal of that option should be increased for any interested user. As far as Kindle Fire specifics, though, it wouldn’t be at all surprising to find out that Amazon has been working on docking stations for their next tablet, which reports indicate will have a very distinct form compared to its predecessor. The recent release of the Amazon Instant Video app for iPads is also, paradoxically, a fair indication that the Kindle Fire 2 is nearly ready. Even if a larger model of Amazon’s tablet is ready right away, there is no way that they want to be entering into head to head competition with Apple at this stage. Plenty of rumors say that Apple ‘s already taking things in that direction with an impending iPad Mini, but that rumor has been cropping up repeatedly for two years now and the reasoning doesn’t seem to have improved much in the meantime. By creating a convenient way for Apple’s customers to access their Amazon video purchases, the need for confrontation is somewhat negated. It’s important to remember that Amazon gains very little by way of income for selling the Kindle Fire. They’d be just as happy to have an iPad user locked into using Amazon services thanks to the closed ecosystem being developed, since content is where the money is anyway. The app release here might look like a lack of confidence in the Kindle Fire, but it’s really just paving the way for a deliberately niche product. Most importantly, and most obviously, Amazon has started selling off refurbished Kindles at ridiculously low prices. This has happened before. People who use an Amazon.com Rewards Visa can pick up a basic Kindle eReader for just $47 now through August 15th using the coupon code KINDLE40. It’s pretty obvious that something is on the way to replace that Kindle. That doesn’t necessarily mean that we’re looking at an August 15th release date. In fact, people have largely stopped trying to guess at when Amazon will be ready. It will be here when it’s ready, but it’s safe to say that time is not far off. Some of the likely details regarding Amazon’s upcoming Kindle Fire successor have been available for a bit now. As we get closer to what most sources consider a highly probably launch event in July, these are naturally becoming more detailed. Most recently, tech news site BGR has expanded on a few of the more interesting details that make the upcoming Kindle Fire an improvement on the original. The biggest news here is that, assuming BGR has once again found a reliable source, the highly sought 10 inch Kindle Fire will be released in July at the same time as the improved 7 inch model. While the plan when Amazon’s first tablet was still in its earlier stages there were plans for the release of both 10 inch and 7 inch options. In the interest of releasing in time to take advantage of holiday sales, they chose to concentrate on the less expensive of the two devices. Now that some time has passed and interest has remained relatively high we will finally get to see the line filled out a bit. The new 10 inch Kindle Fire 2 will be running a quad-core processor to offer a bit more power. Obviously the larger screen is an improvement, but it will also be higher resolution. Whether this means 1280 x 800 as with the 7 inch model is unknown, but it is likely that the emphasis here will be on true HD content delivery and that will influence things. The overall build quality of the new Kindle Fire models has also apparently been improved. While they will be thinner than the existing Kindle Fire, and slightly thinner than the original iPad, they will feature a metal case rather than the soft plastic that the older model makes use of. A new chrome finish will be used to add highlights against the black matte we are used to, and a ribbed texture on the back will make it more comfortable to hold. Having a more distinct appearance will definitely help with sales regardless of any other reasons for switching to a metal case. The positioning of the speakers has been altered to some degree in order to improve the sound quality. The 10 inch Kindle Fire 2 will also finally offer users a front-facing camera. While not exactly the most useful of features for most people, it is one that has frequently been requested. Both models will include a microUSB port and what is suspected to be an HDMI port. Amazon has been aware of impending competition from Google and Microsoft on the tablet front throughout their development. While the Kindle Fire took off immediately and conquered the Android tablet market, everybody else is catching up quickly. That includes some like Google who can actually offer comparable media integration. The new Kindle Fire 2 will have to be impressive to compete with not just the new competition but also the thoroughly entrenched iPad. They can’t avoid the comparison to any degree once a larger model is available for sale and it should be interesting to find out exactly how much of an improvement has been made in order to meet these challenges. The current expected release date is July 31st. There is no word yet on 10 inch Kindle Fire 2 pricing. The 7 inch Kindle Fire 2 is expected to sell for $199. Will the Next Kindle Have Lighting AND Color? 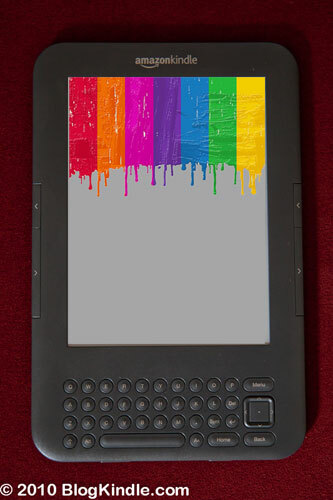 The demand for a color Kindle has been relatively constant since the eReader was first introduced. It was the major point of contention in early Kindle vs iPad comparisons and likely resulted in the sale of no small number of iPads in the first generation. The Kindle Fire was a step in the right direction, but like the Nook Color it relies on an LCD display that is far from ideal for reading. The back-lighting necessary for such a display is both hard on the eyes and a huge drain on batteries compared to E Ink alternatives. Now, E Ink eReaders have a new standard to live up to since the launch of the Nook Simple Touch w/ GlowLight. We can be relatively certain that Amazon is aware of this fact and interested in stepping up the game a bit with their next Kindle release. This means that there will obviously be a similar lighting feature that doesn’t intrude too much on the battery life users have come to expect from a Kindle eReader, but there will have to be more if they want to really stand out. The new Nook has been around for long enough that light alone will probably fail to impress even if Amazon could launch immediately. There may be a case to be made for expecting a front-lit color E Ink Kindle in the second half of this year that will make besting the Nook’s GlowLight model possible. Consider the shortcomings of E Ink’s Triton displays. They do have color, yes, but it is dull and lifeless except in ideal lighting situations. Even in some specially selected showrooms there are times when Triton’s color fails to impress. Adding in a front-lighting solution along the lines of what Barnes & Noble has achieved with GlowLight may eliminate that problem. If the lighting is built right into the device and still doesn’t significantly reduce the battery power then there is no reason to avoid color E Ink anymore. This is not new speculation, but it does carry slightly more weight than it used to. We have already had information leaked about Amazon’s possession of lighting technology for the new Kindle. It was reported on shortly before the new Nook was made public. Now DigiTimes, that highly unreliable but occasionally informative Taiwanese publication, has made the claim that parts suppliers are getting orders for color eReader components on a schedule that would set release in the second half of 2012. I would never rely wholly on DigiTimes for information and so would advise against considering that confirmation, but they have been right even more often than they’ve been wrong. If we do get a color Kindle eReader before the holidays, expect a fresh boom in eReading in general. Not only would it be impressive new technology that addresses a major customer demand, it would benefit from the first major change in eBook pricing since the introduction of the Agency Model. We can’t be sure how soon Amazon will jump on the pricing issue given that there are still unsettled defendants in the DOJ case, but the end result will definitely benefit Kindle owners immensely. This could be a very big year. As anybody who is interested can clearly see, today finds the Kindle sold out! For some, this may be annoying since it means that you have to wait on your new eReader. For those who’ve been following the news these last few months, however, this is simply a reinforcement of the good news we’ve been expecting for a while now. The new and updated Kindle, with a thinner body and better screen(probably the same eInk Pearl display seen on the new Kindle DX Graphite), was announced as an August release a while back. In the meantime we have seen refurbished Kindles going for close to $100, a major price drop on new Kindles, and a huge push in the Kindle platform across multiple platforms. Definitely encouraging signs. 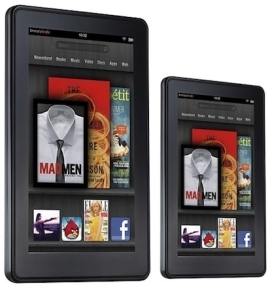 Now, will this be the much anticipated Kindle 3? No idea. The timing seems right in a lot of ways, but this could just as easily be a minor cosmetic update in the interests of giving Amazon(NASDAQ:AMZN) a further edge in the eBook market. Either way, August should be a good month for fans of the device as we can be fairly sure to see something new. Personally, all I really care about is the new screen. That Graphite DX model is very nice to read on.